Christians strive to imitate Jesus Christ in the belief that he embodied the love that is God, and so reveals to us what it means to be fully human. 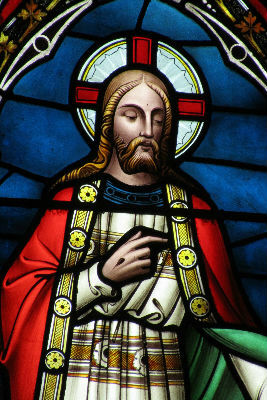 rejesus This Church of England website explores the life, teachings and meaning of Jesus Christ. justpray A Church of England website which is full of inspiration to help you pray and develop your personal relationship with God. BBC Religion Provides an informative neutral overview of the beliefs and practices of the world's major religions, including Christianity. Parish of the Holy Cross The Roman Catholic Churches of St. John the Evangelist, The Willows, Kirkham and St. Joseph's, Wesham. Kirkham Methodist Church The Methodist Church serving Kirkham and Wesham. Kirkham United Reformed Church The URC in the centre of Kirkham.